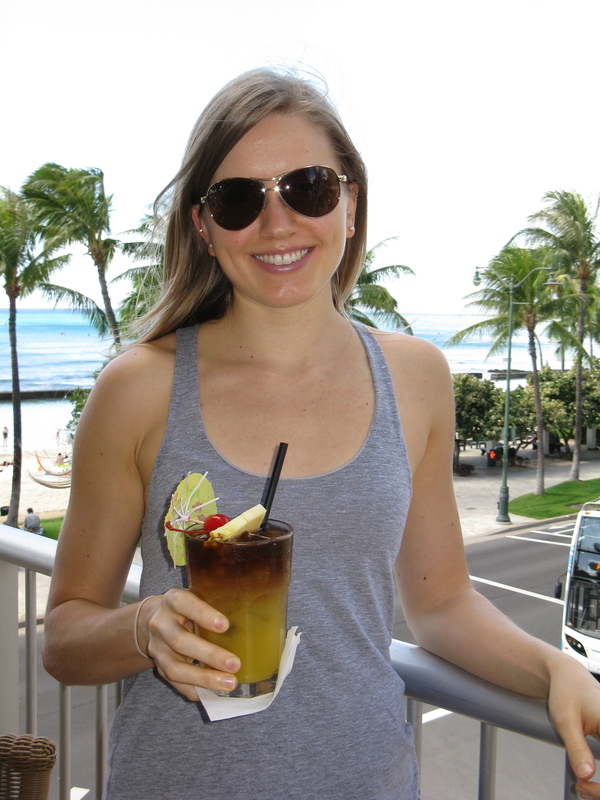 Wow, I can’t believe it’s been over two weeks since we returned from our Honolulu vacation! I was ready to come home at the end of the trip, but now I’m ready to go back. It’s been so cold here! The holidays set me back on posting more pictures from our trip (I did post some while we were there if you recall), but with the holidays said and done, I can finally share some more memories. Meanwhile, today is my first day back at school. I know it will be another valuable term, regardless of my crummy schedule and nutrition class. I won’t let it ruin my positive outlook though. Maybe I should bring ear plugs to my nutrition class? At the very least, I’m fortunate to have a great teacher who is pretty open-minded. I had her last term for a couple classes. 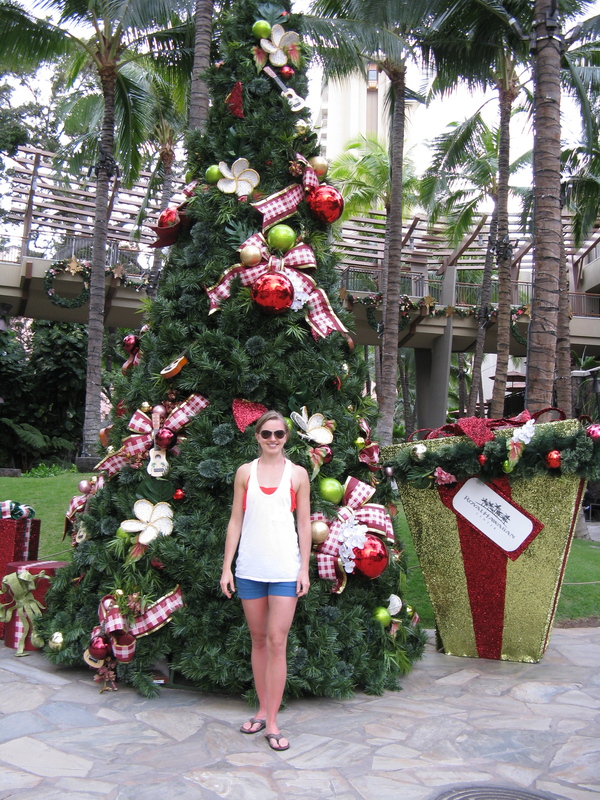 Christmas tree on the streets of Waikiki! This was shortly after we got engaged. 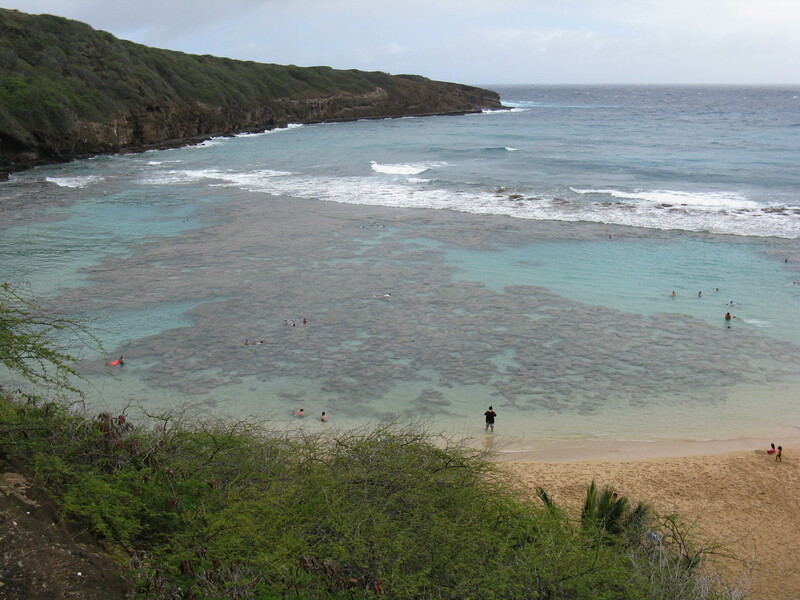 Hanauma Bay, where we snorkeled one rainy day. We saw some really cool fish — my favorite was a big, multicolored neon one! I forgot our underwater camera at home, so there are no fish pics. 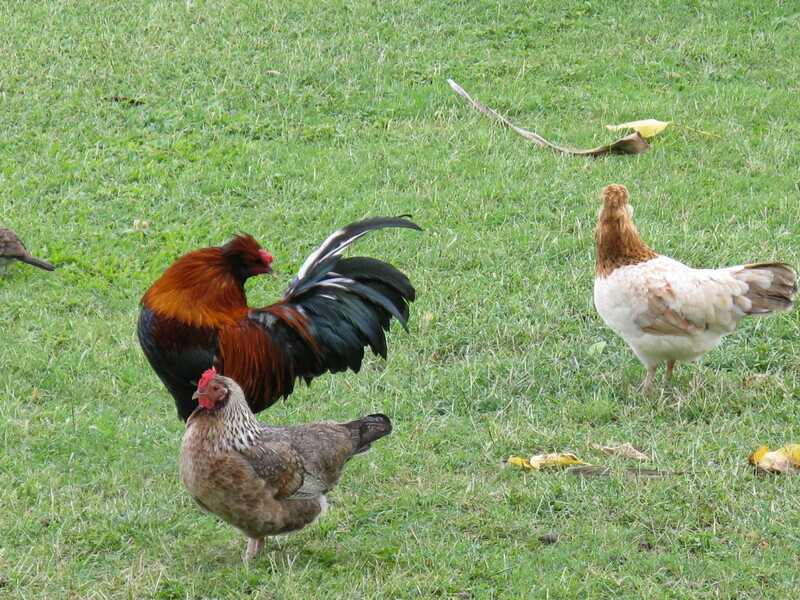 Some free-roaming chickens up on the mainland at Hanauma Bay. There were a ton of them! Jesse, adjusting his goggles and going for a dip. 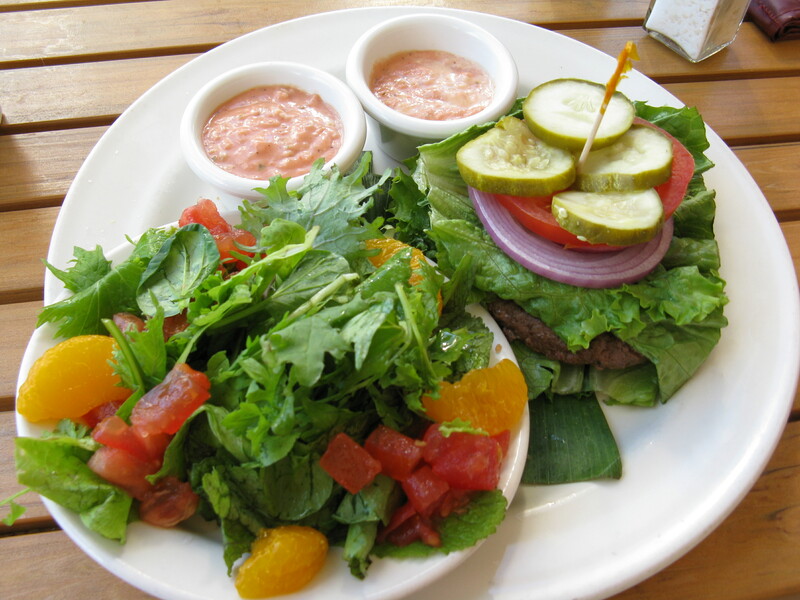 Mmm, my lunch one day — grass-fed Hawaiian beef burger with no bun and extra greens. I love the trees around here. They’re kinda magical. Jesse doing some mobility on the beach one day. Lounging in the late afternoon, after a really great day. 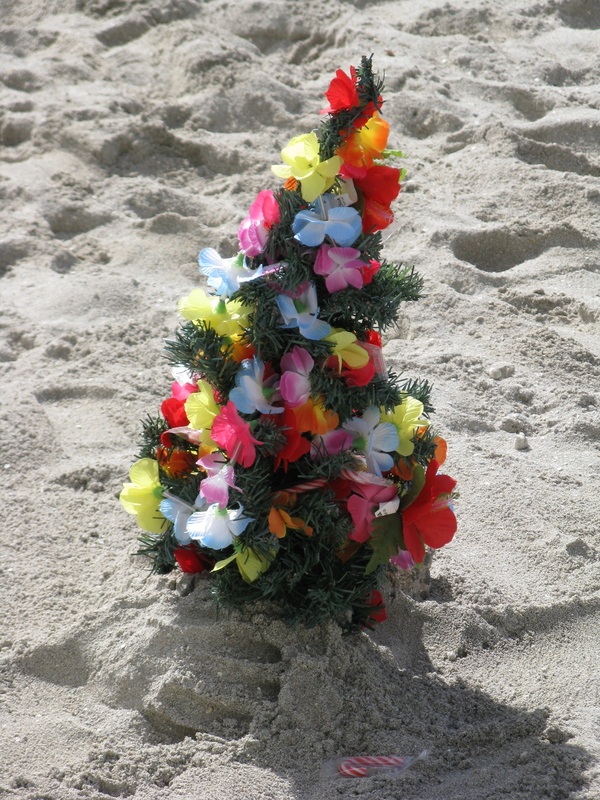 This cute little tree was on the sands of Waikiki Beach. On the other side of the tree, there was a funny little manger scene. 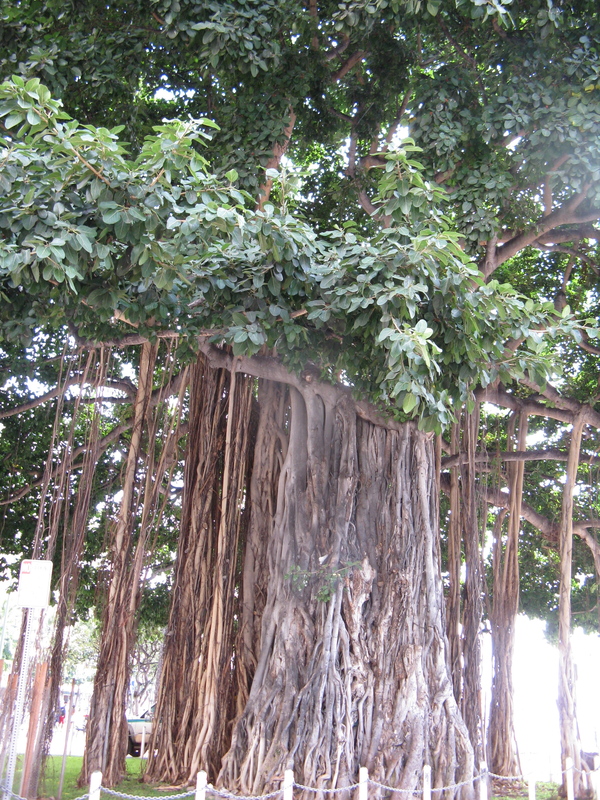 This was our first full day in Honolulu. We kicked it off with Mai tai cocktails at our favorite place, Tiki’s Bar & Grill. I always save the pineapple for the end, but never eat the cherries. Jesse’s ritual is to eat the pineapple first. He doesn’t eat the cherries either. Gosh I miss summer!! The only thing I don’t like about summer is how miserable running can be! So why is it you are loathing the nutrition class? Because you are paleo and don’t care to learn about grains and the need for fake carbs… ? Hearing all the myths that we’ve been brainwashed with is what I’m not looking forward to! I know better, of course, but it’s painful to listen to. You know, stuff about saturated fats, red meat, whole grain this and that, low fat, cholesterol, etc. This looks like a blast, what a fun trip and a great place to spend the holidays!! It was wonderful! We were gone at a good time too because it was really crummy in Portland … even some snow! Great pics! My husband and I would LOVE to go back to Hawaii for our 10 year anniversary. That’s only 2 years away, so we better get saving!